All Cross Timbers homes currently listed for sale in Double Oak as of 04/21/2019 are shown below. You can change the search criteria at any time by pressing the 'Change Search' button below. 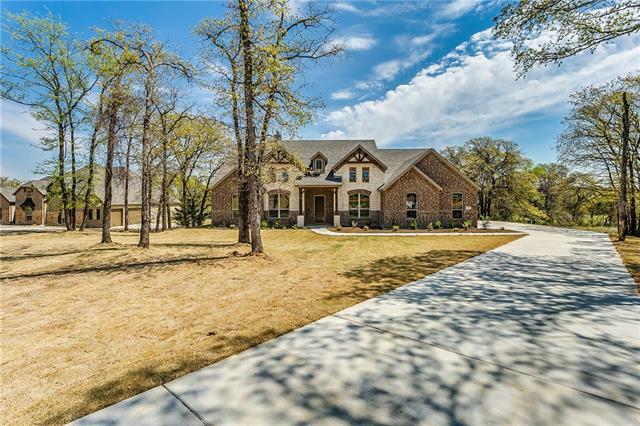 "NEW JOHN HOUSTON CUSTOM HOME IN CROSS TIMBERS ESTATES ON a wide 1 ACRE LOT IN A HEAVILY TREED COMMUNITY! Gorgeous 1-Story home nestled among beautiful hardwood trees, in a peaceful country setting, JOHNSON COUNTY, BURLESON ISD, only minutes away from shopping in Burleson! Home has a Study, a Spacious Family, Kitchen with a large Island with Granite Counter top, close to the Breakfast Nook with direct access to a SPACIOUS COVERED PATIO, along with a Game Room and half bath! 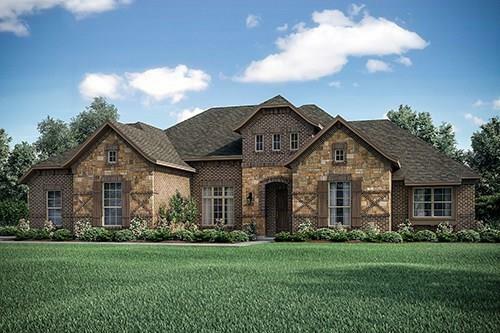 Large side entry 3 Car"
"NEW JOHN HOUSTON CUSTOM HOME IN CROSS TIMBERS ESTATES IN BURLESON ISD, JOHNSON COUNTY TAXES, on a 1-ACRE LOT with Trees! Spectacular front lawn appeal, Gorgeous Front Porch, Spacious Covered Back Porch, 1 story open concept floor plan with 4 bedrooms, 2 full baths, half bath, game room, study, and Game Room. 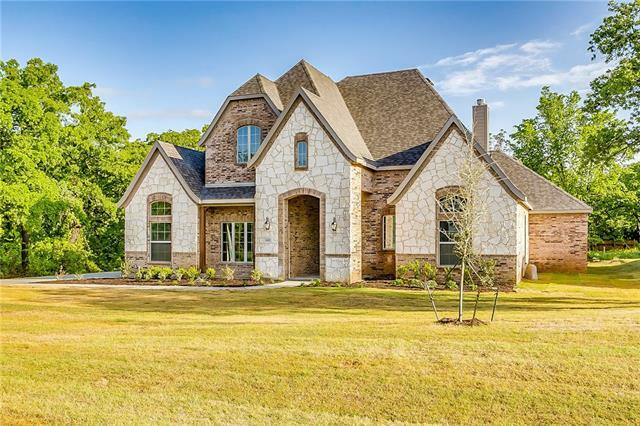 Unique features include spacious front and back patio, custom wood hood, mud bench, double oven, bench in master shower, custom knotty alder stain cabinets, granite kitchen counter tops, woo"
"NEW JOHN HOUSTON CUSTOM HOME IN CROSS TIMBERS ESTATES ON 1 ACRE LOT IN HEAVILY TREED COMMUNITY! Gorgeous 2-Story home nestled amongst beautiful hardwood trees, in a peaceful country setting, JOHNSON COUNTY, but only minutes away from the new Burleson High school and the heart of shopping in Burleson! Home has a SIDE-ENTRY 3 Car GARAGE, Spacious Family, Kitchen with a large Island with LARGE Granite Counter top, close to the Breakfast Nook with direct access to an Outdoor Covered Patio, along wit"
"NEW JOHN HOUSTON CUSTOM HOME IN CROSS TIMBERS ESTATES ON 1 ACRE LOT IN HEAVILY TREED COMMUNITY! 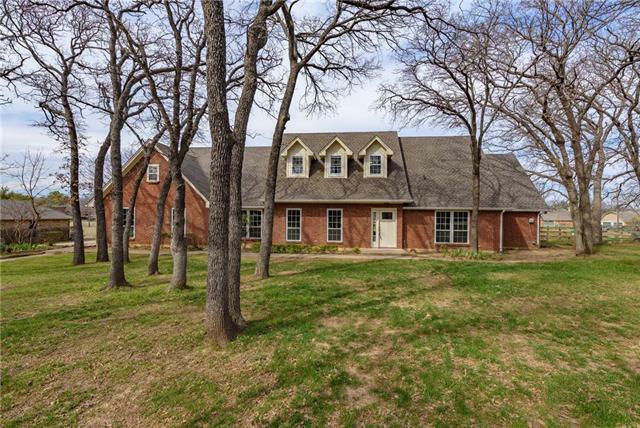 Gorgeous 1-Story home nestled up top on a 1-Acre Lot, with a Gorgeous View, beautiful hardwood trees, in a peaceful country setting, JOHNSON COUNTY, but only minutes away from the new Burleson High school and the heart of shopping in Burleson! 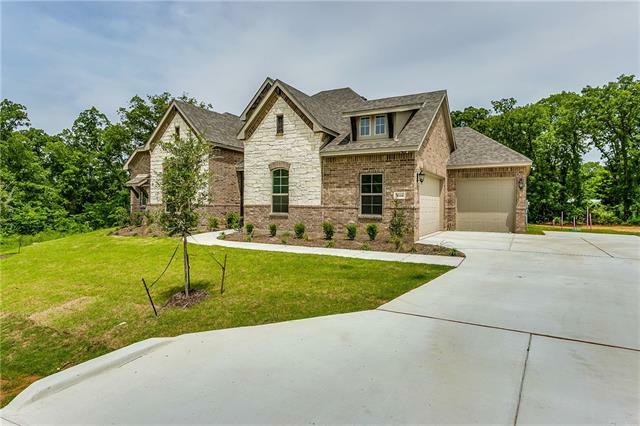 Home has a Study, a Spacious Family, Kitchen with a large Island with Granite Counter top, Custom Cabinets, Corner Fireplace, Half Bath for Guests, Master Bedro"
"NEW JOHN HOUSTON CUSTOM HOME IN CROSS TIMBERS ESTATES ON 1 ACRE LOT IN HEAVILY TREED COMMUNITY! Gorgeous 2-Story home nestled amongst beautiful hardwood trees, on a private culd-a-sac, in a peaceful country setting, JOHNSON COUNTY, but only minutes away from the new Burleson High school and the heart of shopping in Burleson! Home has an Open Concept Spacious Family and Kitchen with a large Island with Granite Counter top, Custom Cabinets, Dining Room, Master Bedroom with a Bay Window, Half Bath "